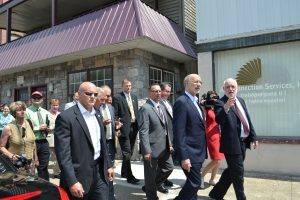 Mike Hanley leading a tour of South Side Scranton for Governor Tom Wolf to see UNC’s work to redevelop the neighborhood on August 4th. 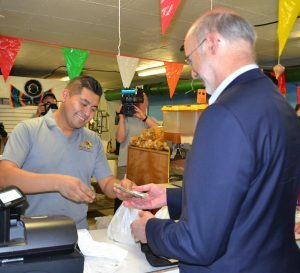 Governor Wolf commented, “The transformation that is happening in this section of Scranton is wonderful to see and demonstration of what is possible when the commonwealth along with leading organizations like UNC and other members of the community work together. 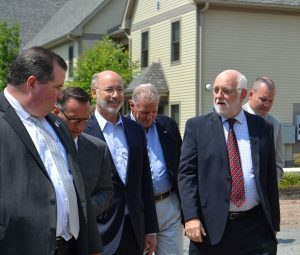 ” Also on the tour were Senator Blake, County Commissioner Pat O’Malley, Representative Marty Flynn and Mayor Bill Courtright and a number of local and state officials.